KUALA LUMPUR (Feb 6): Malaysia's palm oil inventories likely fell to the lowest level in five months at end-January, led by a sharp fall in production and firmer exports, underpinning prices already tracking near more than four-year highs. Palm oil futures on the Bursa Malaysia Derivatives exchange have dipped 3.5% since the start of the year, but remain not far off the RM3,202 (US$724.11) per tonne touched on Dec 19. Palmoil was last down 0.1% at RM3,052 on Monday morning. January end-stocks in Malaysia, the world's number two producer of the tropical oil, fell 10.7% to 1.49 million tonnes from a month ago, according to the median forecast of seven planters, traders and analysts in a Reuters poll. This would be steepest fall in five months and put stocks at the lowest since August, as the lingering effects of a crop damaging El Niño curb production. Output is expected to fall 9.1% on-month to 1.34 million tonnes, the lowest since April. January's output was also affected by monsoon rains across the east coast of Peninsular Malaysia and in Johor, Malaysia's third largest palm producing state, with floods disrupting fruit harvesting and shutting road access to plantations. Lunar New Year public holidays at the end of the month also contributed to lower production, which is expected to dip further in February in line with seasonal trends, said Kenanga Investment Bank plantations analyst Voon Yee Ping. "If we look at historical patterns, February production tends to be the lowest for the year, and we think with the recent wet weather, this year's February production may see the same downtrend," said Voon. "Production will most likely see the typical seasonal uptick from March... onwards." The survey pegged Malaysia's palm oil exports in January at 1.29 million tonnes, up just 1%. It would be the first month-on-month gain since August. The forecast rise in January exports is below the estimates of cargo surveyors of a 4% to 8% increase. Prices of the tropical oil remain high due to tight market supplies, making palm less competitive than related oils, traders said. "Other oils have been cheap in contrast. Palm nearby is very tight," said a futures trader from Kuala Lumpur. "Exports for February are going to be bad as the crude palm oil to bean oil band is too narrow. I feel that India and China might not buy much." 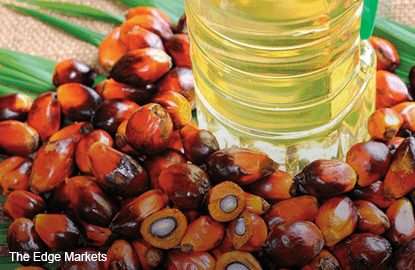 India and China, the world's top two buyers and consumers of palm, switch to soyoil when palm becomes too expensive. The median figures from the Reuters survey imply Malaysian consumption of 269,088 tonnes in January. Official data will be released by the Malaysian Palm Oil Board on Feb. 10. * Official stocks of 1,665,388 tonnes in December, plus the above estimated output and imports, give a total January supply of 3,050,388 tonnes. Based on the median of the exports and closing stocks estimates, Malaysia's domestic consumption in January would be 269,088 tonnes.